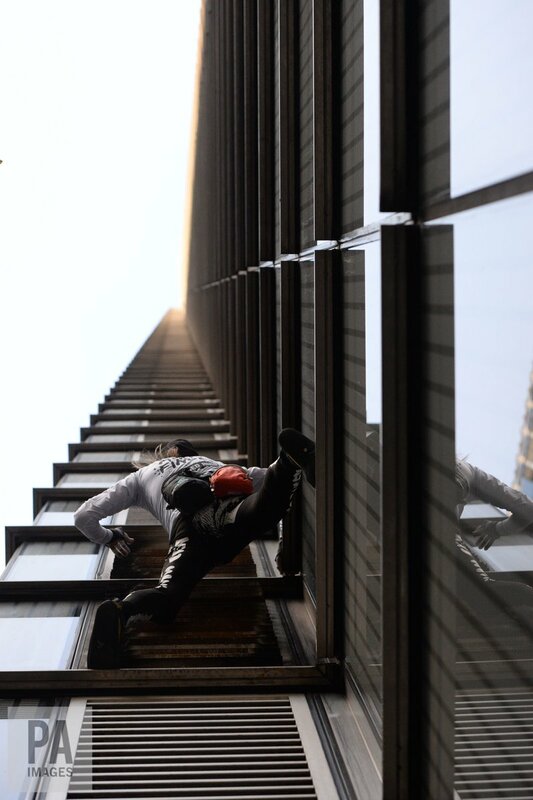 Urban climber dubbed the French Spiderman, Alain Robert scales the outside of Heron Tower building in the City of London, Thursday, Oct. 25, 2018. 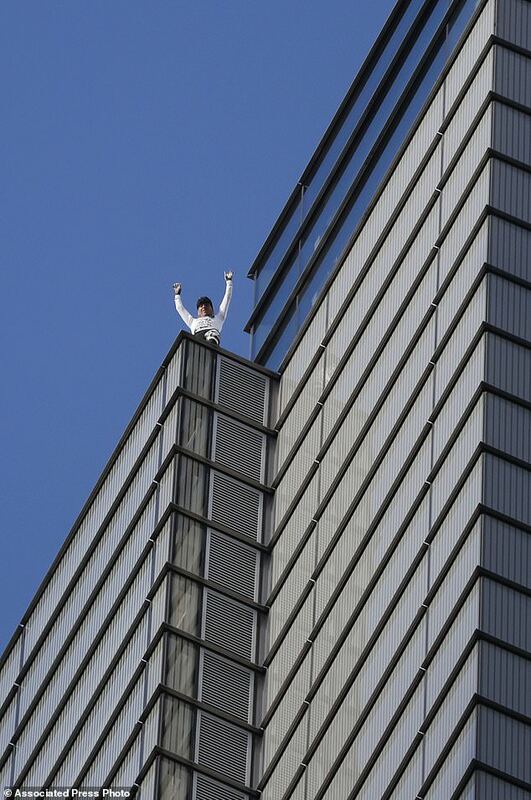 Why Mr. Robert decided to scale the tower was not immediately clear, but it was far from the first time that the 56-year-old French stuntman has scurried up the side of a skyscraper. And on video that seems to be taken from inside the Heron Tower, people watched bewilderedly as Robert at one point took his foot off the building and shook it. "While the incident has caused immense disruption to everyday business in the City of London, it also posed a significant level of risk to the safety of people in and around Heron Tower at the time." Heron Tower is over 200 metres high. 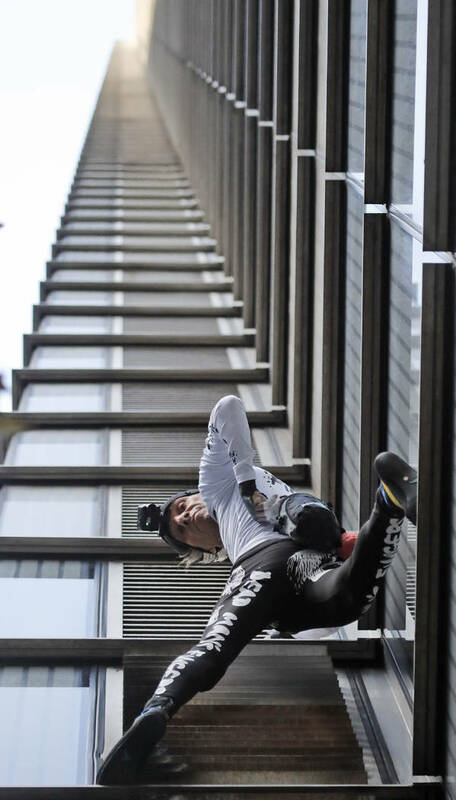 In images shared on social media, onlookers could be seen stretching their necks to get a glimpse of the climber, Alain Robert, as he ascended the imposing building, which is more than 750 feet tall.